Psst... Want To Know A Secret? 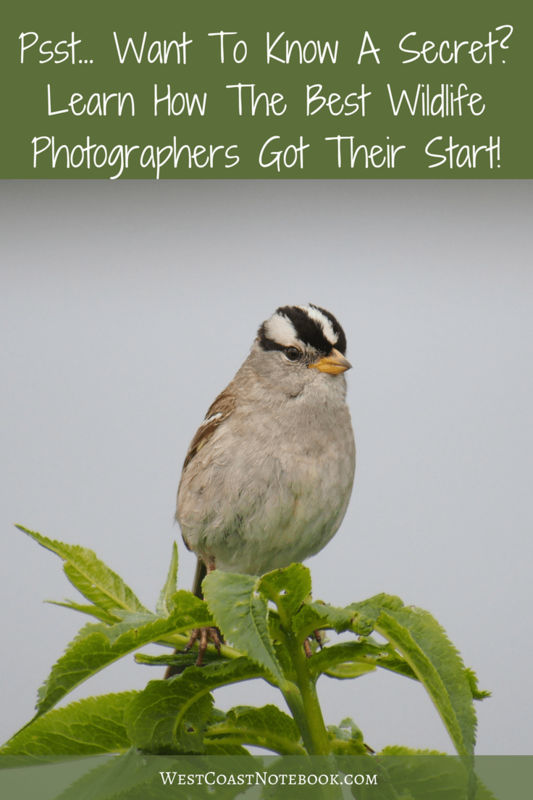 Learn How The Best Wildlife Photographers Got Their Start! / Psst… Want To Know A Secret? Learn How The Best Wildlife Photographers Got Their Start! Sorry for all the drama, but people seem to think that there is a magic wand to taking spectacular wildlife pictures and I’m sorry to disillusion you, but there’s no wand. At the beginning, there is no “best” camera, tripod, settings or time of day. The way all wildlife photographers got to where they are today is by using what they had and practise, practise, practise. Use up all the space on your memory card, whether you’re in the backyard photographing a butterfly or in the wilds of Africa, don’t be afraid to take a picture. You don’t have to get it perfect the first time out! When I first started I thought my pictures were pretty good and that was with the camera on auto (big no, no) but when you’re starting out you need to begin somewhere. Then I learned that different setting on my camera did different things and I practised some more. I now look at the pictures I took last year that I thought were wonderful and toss them. As I go forward… my process is getting more fine tuned as I learn what to do in the different light situation and with what speed and get to know my camera’s limitations. I found I needed help with the next step and took a workshop with Nature Photographer Glenn Bartley. This helped tremendously in moving my photography forward but it also got me stuck in the sense that I felt that I needed to do it a specific way. So I practised some more, took some online courses and found my own style. I go out just about every day to shoot pictures and will come home with 1500 plus shots. After sorting through them I will maybe keep 30-50 of them and a few days later will take them down to about 15 when I’m not so attached to them. Wildlife photography is a process and we all start at the beginning. You don’t expect to be a track star overnight without putting in the training to get there. Begin where you are. Take the best pictures you can. Learn some more, take more pictures and find some great subjects. As you progress you will get to the point where you want a new camera, and when you first use a tripod, you will see a real difference between your handheld pictures and ones on the tripod. At this point, you’re hooked and there is no looking back. So, don’t be hard on yourself if out of the gate your pictures don’t look like a pro’s. Enjoy the process and know with each shot, you up your skills. This is where all professional wildlife photographers started and you have so much to look forward to as you follow along in their footsteps.